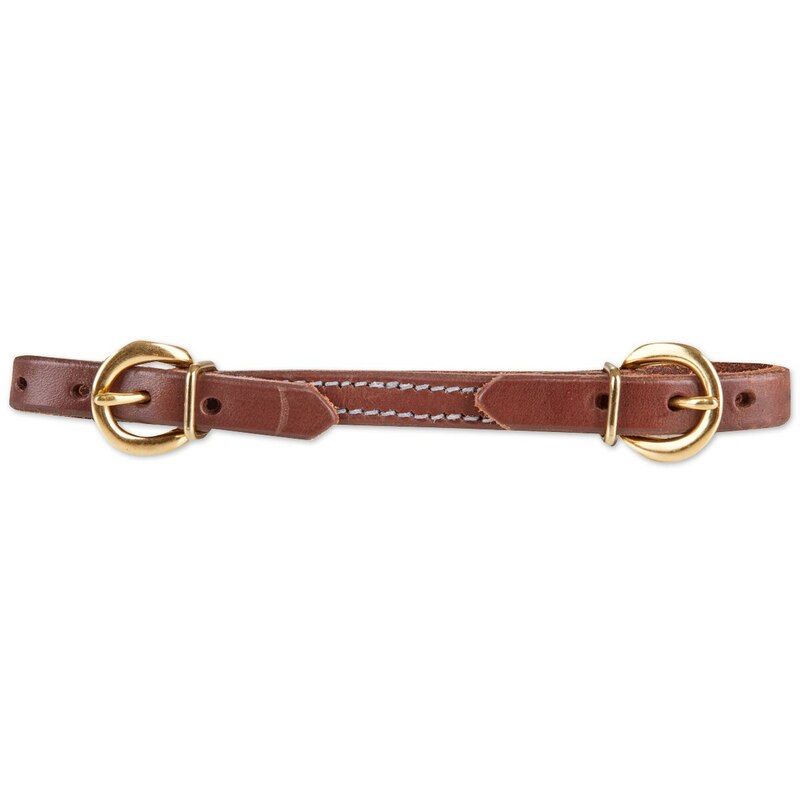 Complete your Rockin’ SP bridle with the Rockin’ SP Curb Strap! What do you get when you combine our smarts and obsessive attention to detail with the insight of world champion riders? You get the quality design of the Rockin’ SP curb strap. We worked closely with champion reiners Tim McQuay and Tom McCutcheon, and their insight from decades in the saddle led to more than great quality – it paved the way for innovative design. We wanted Rockin’ SP to be a cut above your average working tack, that’s why it’s made from high-quality Hermann Oak harness leather that is buttery soft and ready to go right out of the box. It’s also hand rubbed and oiled for a great finish. Plus, the brass hardware looks great and is made to last. Of course, it’s also easily adjustable and offers five settings on each side to provide a great fit for your horse. This is a great choice if you’re looking for quality working tack that is as durable and practical as it is smart and stylish.